Save upto 50% on your single storey extension by using the high energy efficient timber frame method. Send us the size of your proposed extension (length x width in metres) along with any extras such as velux windows/patio doors, and your address, plus any other information you think we'll need, and we'll send you an instant quote. There are many advantages to timber frame construction, but it’s best-known quality is it's environmental excellence. 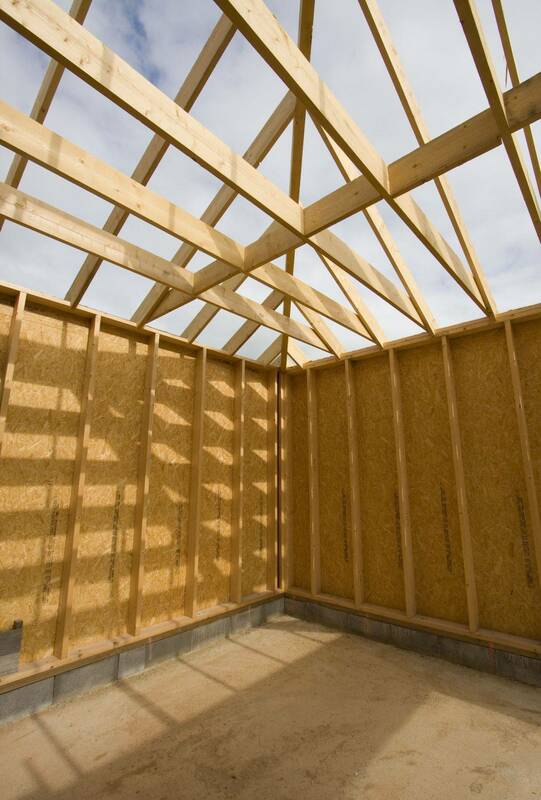 Timber frame construction offers greater energy efficiency than traditional and conservatory buildings, and usually around half the cost due to the speed in which the buildings can be erected. This is all done without sacrificing the durability of solid construction. With the Government pushing for the building industry to contribute to the reduction of CO₂ emissions caused by development, the pressure to become more environmentally aware is increasing steadily. Timber frame has the lowest CO₂ cost of any commercially available building material and the environmental benefits don’t stop after construction. The thermal efficiency of timber means that a timber building will remain warmer throughout the winter, reducing heating costs, and will also stay cooler during the summer months. Most people would not be able to tell if our buildings are brick build or timber frame. We use layers of cement board and ply, and with a rendered finish there really isn't much of a difference to the naked eye. The difference in benefits however, are plenty. Permitted planning - Which means no hassle for you, we take care of everything from start to finish with free design. We take care of everything from design through to completion, offering a full kitchen/bathroom fitting service by fully qualified gas and heating engineers, electricians, and carpenters. We will even prepare your building regs application free of charge. And with us being CHAS registered we are authorised by welsh water to access sewers and drains, meaning we can move manholes and drainage on your property making the whole process smoother again. Representative example: A 3m x 5m single storey extension, external rendered finish, internal plastering, light and electrical sockets. We offer a handmade bespoke door canopy service, From solid green oak to pine wood and beautiful Welsh slate. Similarly to our extensions, these timber frame front porches and rear utility rooms offer excellent value for money when compared to the cost of brick build.